even though it is drizzling songs inside. For a few years now, Vedanthangal Bird Sanctuary has been a nesting spot for the birder in me. It was where my love for birds grew a pair of wings. In November 2013 I had revisited the sanctuary after two decades. Before that, I had been there just once during a school trip in the late Eighties. I remembered nothing about it other than queuing up in front of its rusty front gate . I returned in the winter of 2013 on an unplanned whimsy. I wasn’t a birder then. I just had a Sunday morning to spare. Upon reaching the Vedanthangal bird sanctuary, I first realized that it was much smaller than I had remembered. Matter of fact, it looked nothing similar to the picture I had of it in mind. There was a crowd of noisy uniformed children on a school trip. Once they had gone out of sight, I walked along the cemented pathway that scissors the sanctuary. There were plenty of seabirds. But I couldn’t tell a Pelican from a Pranticole back then. Not much love in me for them either. 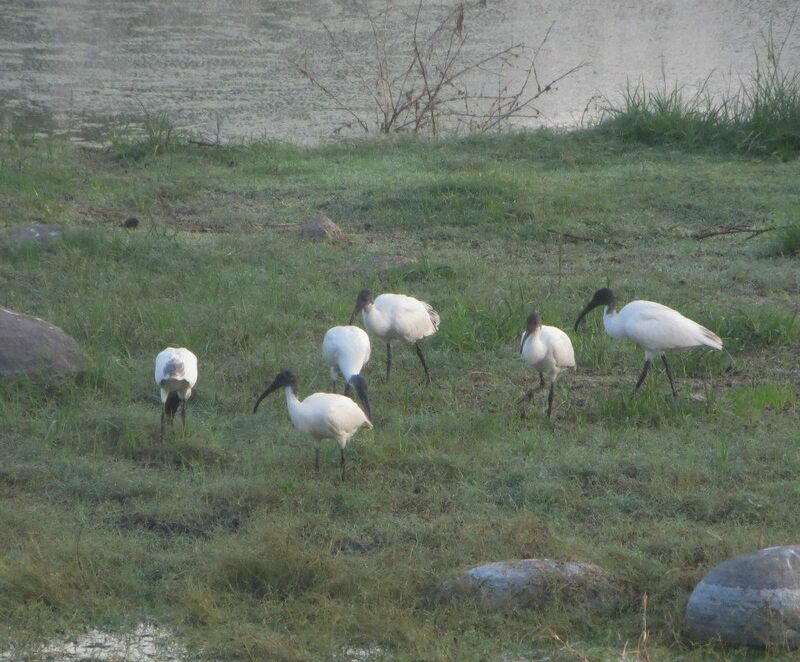 Soon a Black-Headed Ibis flew right past me. She reminded me of the Martian bird from Looney Tunes. I giggled to myself and continued to stroll, still unsure of what I was doing there. I spent most of the day, sitting quietly on a bench, with the cool breeze gnawing my ears. I can’t recall seeing any other bird. I wanted to come back soon though. I wasn’t sure what made me feel that way. I just really wanted to. But I couldn’t for the next few months due to a broken leg. And so I went back about six months later; this time as a fledgling of a birder. It was an incredible day. 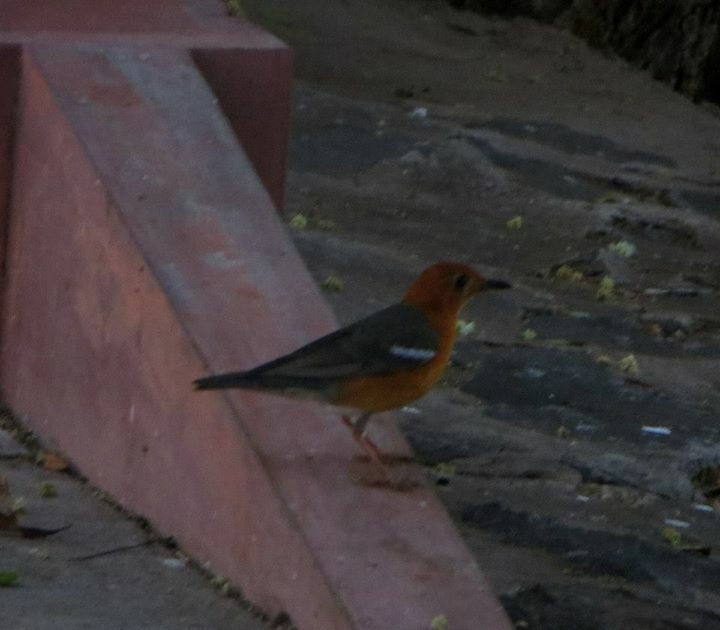 An Orange-Breasted Thrush and a Common Hawk Cuckoo had us tongue-tied within minutes. A pair of Spotted Owlets mooned me in broad daylight. By the end of my first birding trail in Vedanthangal, I managed to spot 10 new species of birds. Since then I have had many wonderful additions to the list. Nowadays, the bird sanctuary has become my backyard of sorts. I still live about 70-odd kilometers away but I act as though I own a piece of its tranquility. I have become that guy who asks visiting schoolchildren to hush down if they really want to see birds. Someone who talks down to adults on being patient and positive. A unimposing figure who lectures litterers. I am not associated with the sanctuary in any way. I would love to volunteer to clean the place but they aren’t the nicest folks to engage with. Still it greatly bothers me when visitors don’t show the proper love and respect to the hundreds of birds that have a home in one of India’s oldest sanctuaries. They treat it like a tourist center without ever seeing it as a tribute. After all this sanctuary was started by people with strong anti-poaching sentiments. If you ever visit this beautiful place, please do remember that the entrance fee you pay is merely to help with the maintenance of the sanctuary. The birds are under no obligation to come and find you. If they do appear, I insist that you leave some love and trust behind with them. They will reward your kindness and patience. Sorry, Bob, but birds aren’t chained to our skies. Quite the breeding ground for beauties, this place is K! Totally looks like. The poetry adds to the beauty as always. Aww I d like to believe in the karma you described. I am not sure how deserving I am consider I don’t give back to nature as much. I only hope to tickle the nature lovers in people. Thank you again for reading and saying such nice things! ” A unimposing figure who lectures litterers.”..hahaha..magic! hey i have an idea..why dont you gather all these unique and beautiful photos and go published? in combination with your writing i find it would be an awesome book..seriously now, just do it! Thanks bud! Much love. I am working on a free ebook of my first year in birding, hopefully will be done in about 2 months. That striped-crested one is astonishing! What variety and beauty! And as always thank you for your poetry. Aw the Jacobin cuckoo? She’s positively nuts and so much fun. Thanks jane! I have visited this place thrice though I am not very very familiar with the names of the birds. I loved the place…its silence when children are not there. But I noticed some of them noting down the names of the birds on the board etc. At least 20-30% of them will start loving birds. First the teachers themselves are not disciplined. But I am happy that at least these govt. schools bring them to this place instead of taking them to Mayajaal! I visited last May with my son and husband, just sat there visualising them in the lake, the previous year. Felt sad, still I enjoyed the place. Good to know you! Thanks for the photo treat! You arw absolutely correct about the teachers. I have had arguments with a few foul mouthed ones more keen on gulping post sanctuary idlis than anything else. But still better than mayajaal or mgm dizee world trips I suppose. Do visit Vedanthangal sometime between December and January, morning between 6:30 and 8 pm. You ll want to go back for sure. I had been there thrice. It was full of birds twice and very beautiful! Only last May, it was dry. We reached there around 7.30 am. One person who works there asked us to visit in the evening after 5 once too! In Feb. the eggs will hatch and we can see babies also, he said. We saw once! Whoa?! School in the eighties?! Duuuuuuude, you’re so OLD!!!?! Ew. But these truly are lovely pictures! Seems like a really nice place! Hehehe I surprised you missed so far the constant subtexts of a man going through midlife crisis. Giggles. Thanks adi, tis a lovely place indeed. Hoopoe! I swear! She is a Sunday morning dream and a half. An aside (if one can start with an aside) – those spotted owls are gorgeous. Here’s the thing about people visiting places where there are birds: unless there is something about those people, something in their lives, that makes them slow down and reach the birds’ own nature in some way, they are going to pass them by like daytrippers. Unlike you, I am predominantly housebound so my birding is done in my own home and garden. And so – unlike the times before I moved here and before I had a particular frame of mind and the peace to go with it – I have a lot of time to contemplate birds and get to know them and their ways. That’s what most people miss. It is probably what you, too, missed before you injured your leg and you allowed your mind to turn more to nature. A mind turned toward nature slows down to the same pace and absorbs what it missed, before. A suggestion: one day go birding without your camera and without anything with which to write or type. Just absorb. You’ll discover much more and your internal camera will store that experience for you.